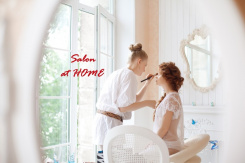 Are you sure GetLook - Salon at Home is closed down? GetLook - Salon at Home is listed in revaalo under Beauty & Spas from . Reviews, Ratings, contact details, services: . Very pathetic professionalism exhibited by Getlook. Had availed a waxing service from them that left a scar and had to undergo expensive dermatology treatment to correct. They only asked for the bills but just remained idle over it. No value for customer's complaint when their service or product created an issue.